This past weekend was the official launch of the new Optum Pro Cycling presented by Kelly Benefit Strategies team! Optum took over as title sponsor of the team this year. Optum is a health services business dedicated to making the health system work better for everyone. 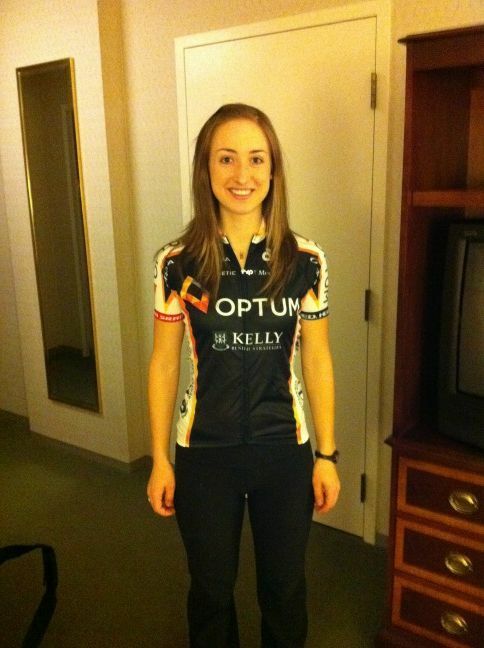 The presenting sponsor is Kelly Benefits, a top American employee benefits consultant company. This new and existing sponsorship allowed for the addition of a women’s team this season! We have a great roster for the 12 person women’s team. Check out everyone’s bios here on the team website. We have some serious talent on board; I’m predicting an impressive season.It was great to meet the men's side of the team as well, they are all very humble about their accomplishments. It was like Christmas morning getting to see the new kits and gear for the year! I can’t wait to get my new Orbea racing machine out on the road at camp. The new kit designs are classy too. 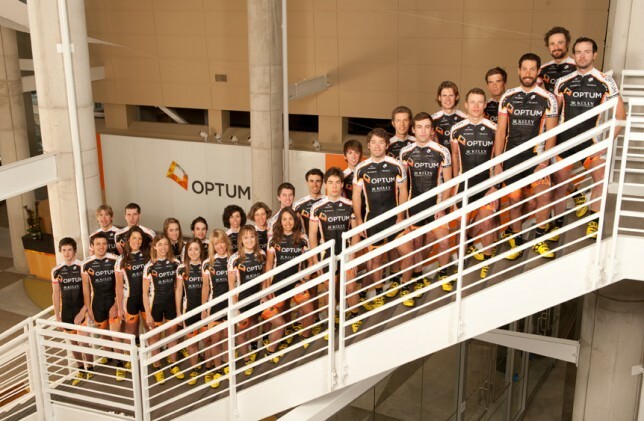 A highlight of the weekend was the “ride with the pros” day with employees at the OptumHealth gym. I have never been to such a large group trainer ride; there must have been 50 people in there! Everyone was exhausted just after the warm up! There were several presentations through the weekend so we could learn more about the team sponsors. Learned some cool stuff about Optum, Kelly Benefit Strategies, Kurt Kinetic, Mavic shoes, and HED wheels. Its great to learn about the science behind products and values behind these companies. 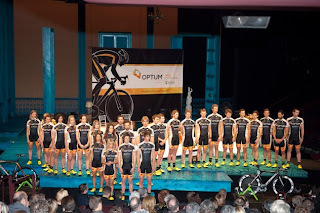 The grand finale was the team presentation itself. What better location then the Guthrie theater downtown Minneapolis. I knew it was going to be a big deal when we arrived to spotlights shining on the sky outside. 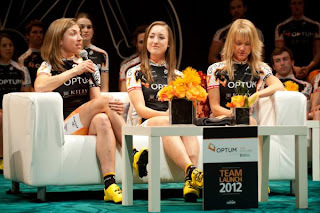 The presentation was an opportunity to introduce all of the riders, management and sponsors to the cycling community. I was completely overwhelmed by the grandeur of the event, so this is what superstars feel like! We had the opportunity to meet lots of the guests at the event, and I was quite excited to meet the organizer from my first race event outside of Canada in 2005, the Tour of 10 000 Lakes. He specifically remembered Marian bringing a big group of cyclists down to race. He also remembered a girl who wanted to quit so bad on a climb after being dropped and experiencing shifting problems, but kept going because Marian forced her to finish the race. This was my past MB teammate on THE classic black race bike. Yes the bike with two different sized crank arms and mixed campi and shimano parts, classic. Funny what people remember from so long ago. Experiencing everyone’s excitement about the team was inspiring. It made me realize that we can be great mentors in the community and that people really do pay attention to our commitment to racing and achieving our goals. Everyone on the team can inspire both kids and adults to lead healthy lifestyles, and to set out to pursue their passions. Can't wait for racing to begin!